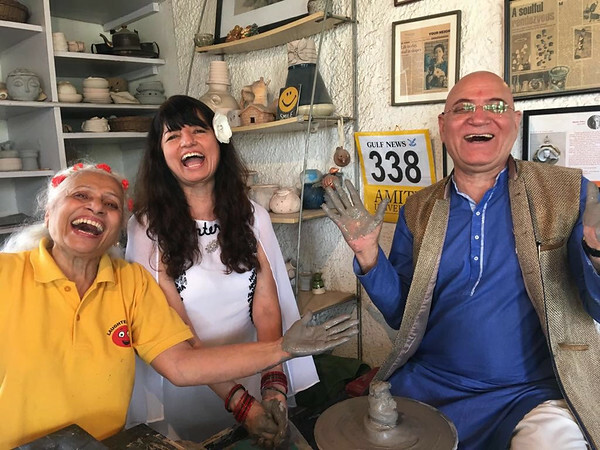 As India and Pakistan celebrate 70 years since their creation as sovereign states, the BBC's Geeta Pandey meets ceramic artist Meena Vohra, who was born a week before independent India. 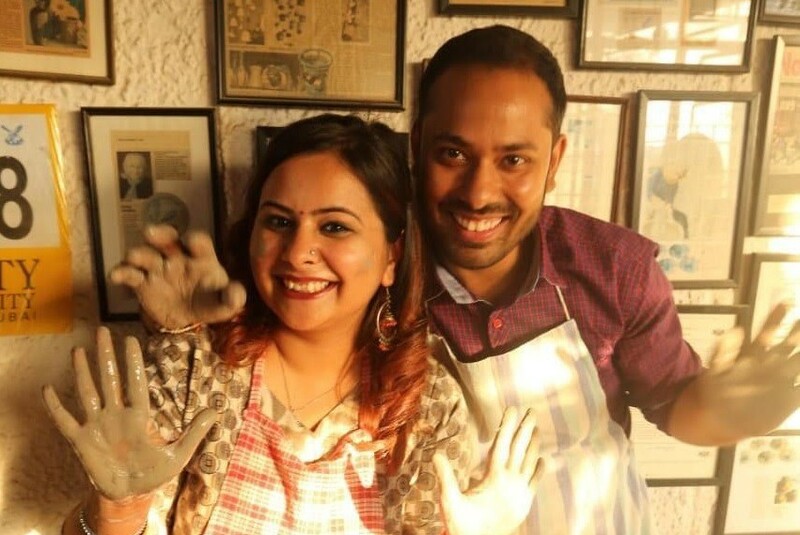 Credit goes to Richa and Prashant who conceived this idea of their Pre Wedding shoot in the Pottery Studio of Meena Vohra , Noida . 9899672403. Wow to them for taking the lead. Different age groups come together under one roof at Studio 78 ----- We all did quality creative work with both mediums of clay . We were all age groups -5 to 69 . Great Happy Time together !!! When we went to visit Meena yesterday we had no idea what to expect. 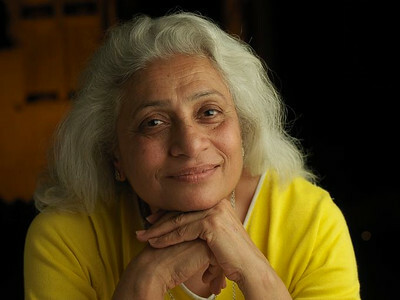 With an open mind and big heart, Meena welcomed us to her studio and gave us an experience we never imagined. 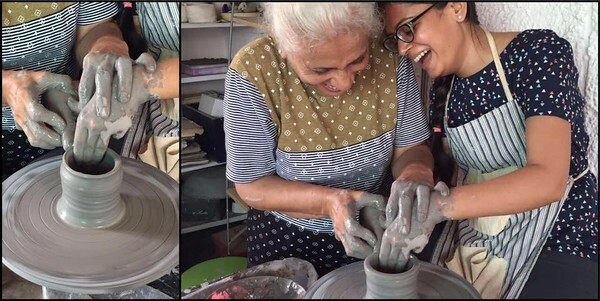 "Gift an Experience " Deepti , liked this idea and thought of gifting , Clay Experience to her closest friend Yasmeen. But kept it as a Surprise, till they entered the Studio . So three close friends came in yesterday , and Celebrated Yasmeen's 30th birthday in Studio 78. 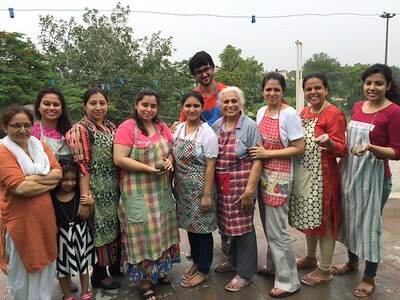 The vibrant n vivacious girls enjoyed playing and creating with clay . The Exotic Cake n Gold Sparkling Wine -added to all the FUN n Happy TIME together . Loved having them !!! 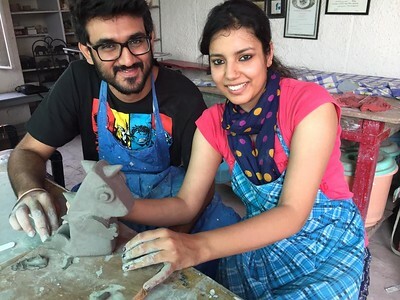 Avneet Kaur and Abhishek Tomar arn every Sunday to explore their Clayinge great enthusiastic --travel all the way from Rajouri Garden Creativity . They amaze us every time. Motivational speaker Vikas spent a day in the studio. He wanted to experience the soulful energy of the wheel. 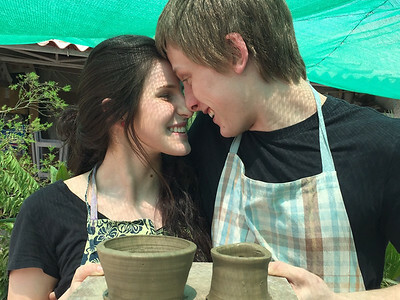 Wheel Session at Studio 78 --- Love this expression of Dolly --when the Clay is in conversation with the Potters Wheel --- "Come on , mould me your way , I'm all yours " Total surrender ---- how beautiful !!! 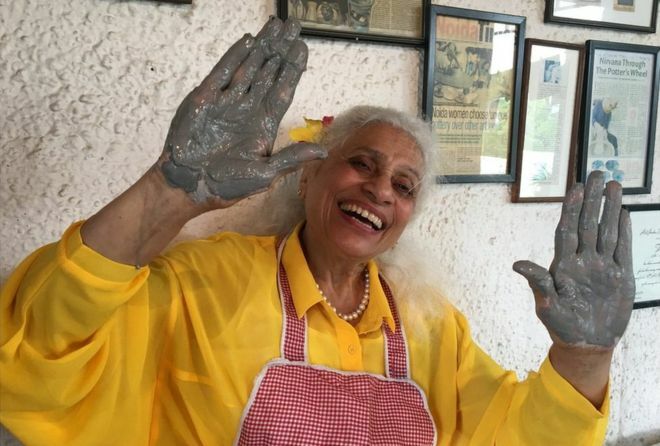 Fun@Studio78 Makeover By Students - THE WONDER WALLS SAGA This is a fable, Of a pedagogue and her disciples, Who found solace in the Serene aura of her tutelage, The studio was their abode for work and fun alike, The feel of clay filled them with delight. 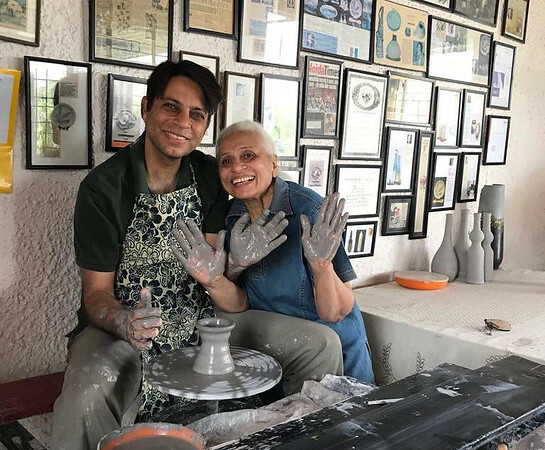 A day came when they took to stools, When they shifted their canvas from clay to walls, They wanted to make this space come alive, Even after they leave, the studio still has their imprints to revive. The walls were adorned with all shades and tones, Within days, a beautiful mosiac from white spaces had grown. Pedagogue waited for her disciples to finish their piece, And then she took to unfurling her magic with expertise. She had planned it way from the beginning, Was just enjoying and polishing it within. 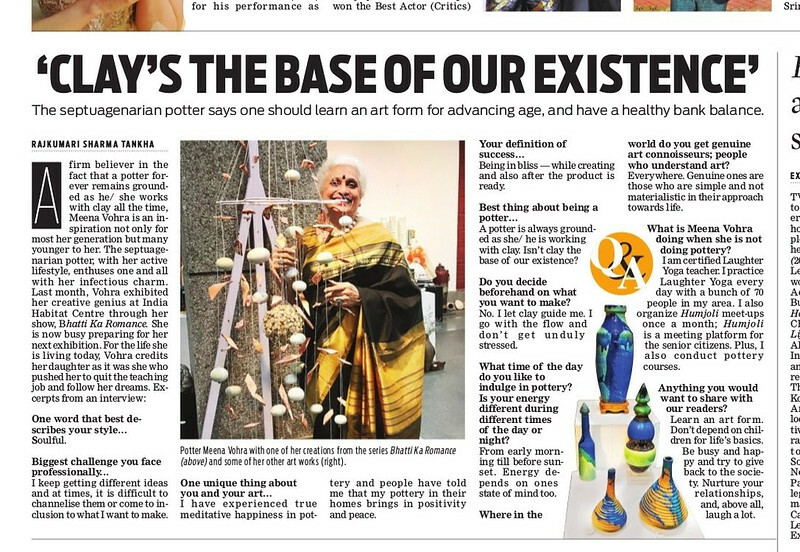 And in the end, when white got hued, The walls clad in colors from yellow to red, Mesmerising sight had they all created, Where artists' story their strokes narrated. 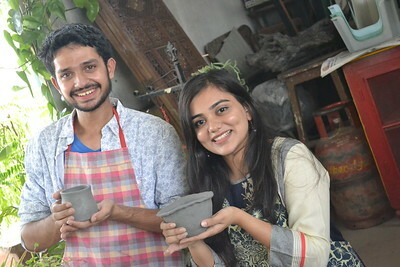 Accenture marketing and communications writers doing a team building and pottery session.